Emerging Markets Telecommunication Services Ltd. (EMTS), trading as 9mobile has announced a network outage in one of its data centres which resulted in service disruption. This means that the network’s subscribers will experience some disruption with voice, SMS and data services due to this technical issue while its technical teams are currently working assiduously to resolve the issue within the shortest possible time. In a statement signed by Ibrahim Dikko, VP, Regulatory & Corporate Affairs, 9mobile, he says “We are aware that subscribers may be experiencing some disruption with voice, SMS and data services due to this technical issue. Our technical teams are currently working assiduously to resolve the issue within the shortest possible time. 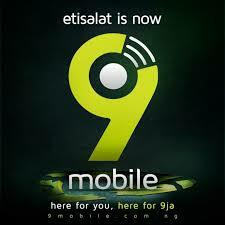 9mobile recently rebranded after the exit of Etisalat from the network. The network provider has promised quality service that is consumer-centric and to be the leader in its data and data processing. Since the announcement of the new identity, 9mobile has continued to wax stronger amid intense competition among other network providers.